SOLD SOLD SOLD!! WE WILL BUY YOUR SEAT CUPRA FOR CASH!! FIND ANOTHER LIKE THIS!!.... 1 Owner from new and a fully documented Seat service history. 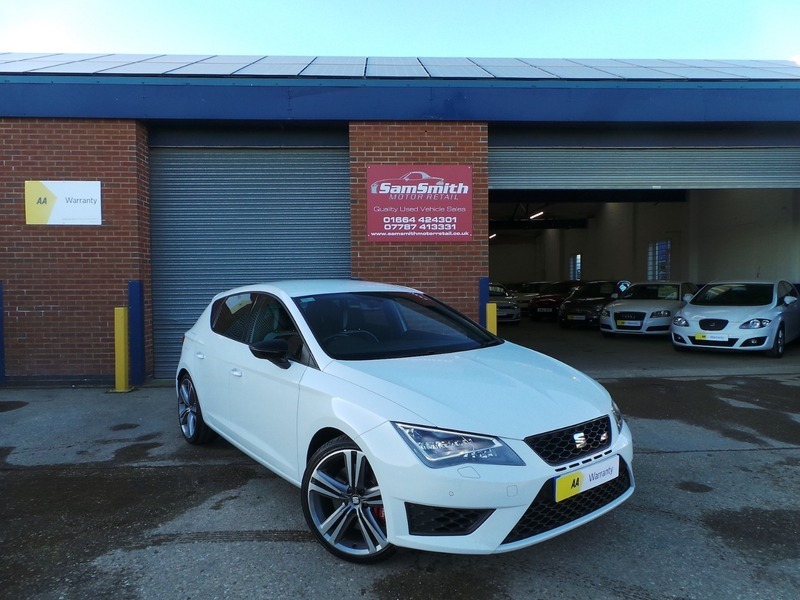 This car is immaculate inside and out and loved by its former keeper who part exchanged it for a brand new Cupra 300. Totally un-molestered example. Very rare to find with the fantastic DSG gearbox that really does make the difference. You won't find a better example of this car! All of our cars go through a very thorough workshop inspection, get freshly serviced if needed and come with a 3 month fully comprehensive (parts and labour) warranty and AA cover. Every car we sell is HPI clear with certificates to prove. LOW RATE FINANCE DEALS AVAILABLE. Open 5 days a week and weekends by appointment. Please call for availability & viewings.